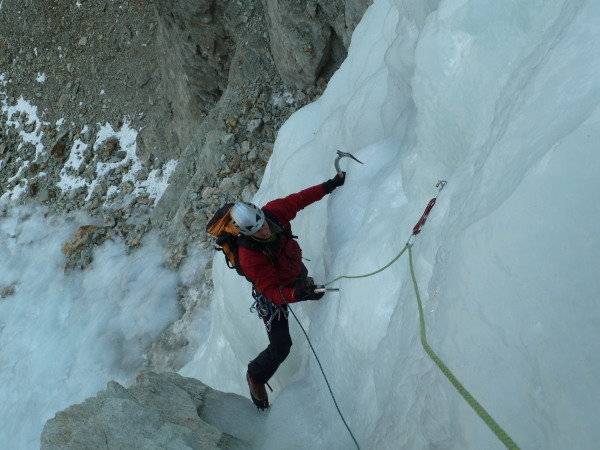 First day ice climbing today. 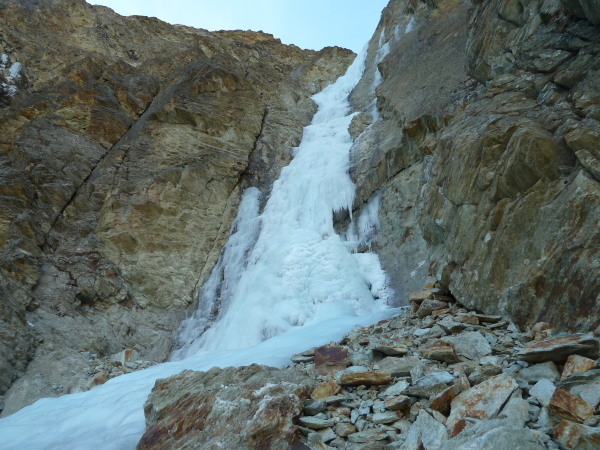 The weather has been settled and dry for so long now the hills are very dry and there's no snow, but high, shady crags have plenty of ice now. A not too cold autumn is quite good for ice, keeping water moving longer rather than freezing everything solid in the ground. Today at the Cascade des Ignes the walk-in was dry - in fact easy in trainers! - when often snowshoes or skis are needed. 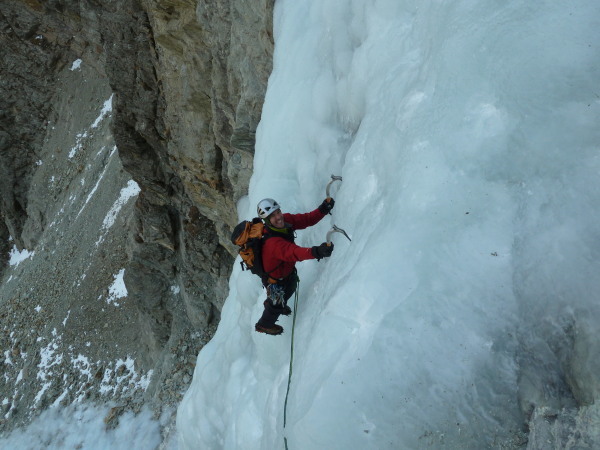 There's loads of ice and it's not too cold so it's great to climb. By midday a few stones were falling, so we continued to the top instead of abseiling and then walked round.